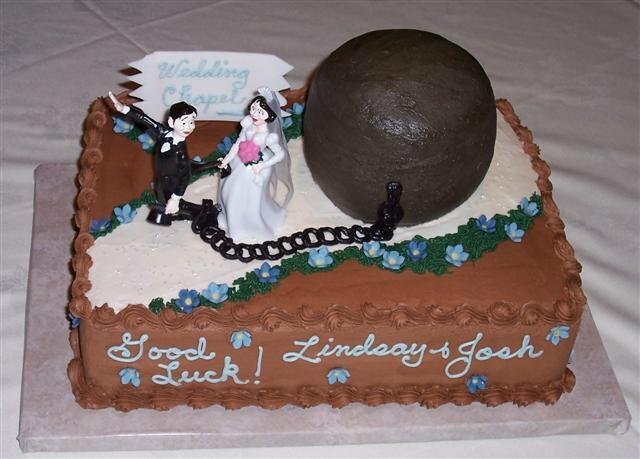 of humor, it can be fun and grooms cakes should be fun. The ball here is also cake. The couple is a Wilton product.